It all started when Will mooned the girls’ school bus. It wasn’t his finest moment. And it’s the last time William Armstrong will sully the St. Andrew’s community, says Principal Waddlehead-er, Waverton. That’s when a teacher worried about Will’s home situation comes up with an idea. Why not let Will, a talented guitarist, give back to the school in a progressive manner? Why not have him play in… THE SCHOOL MUSICAL? Now Will is stuck in the school production of The Boy Friend. He’s a laughingstock, and he has to give up his weekends for a show set at a girls’ finishing school. There’s the trombone-playing seventh grader who proclaims himself Will’s best friend and refuses to leave his side. Then there’s the undeniably attractive leading lady. Although she might be in love with her costar, the new football hero (and dazzling singer!). Sharp-witted, funny, and poignant all at once, this is the story of a boy going through a difficult time who, in a most unlikely way, discovers the person he truly wants to be. Yet another masterpiece straight out of Australia. I think this proves that Australians might just be the best writers ever, yes? Will was a great character. I mean, you know you’re about to read about a real charmer when the first thing he decides to do in the book is moon a bus full of girls. 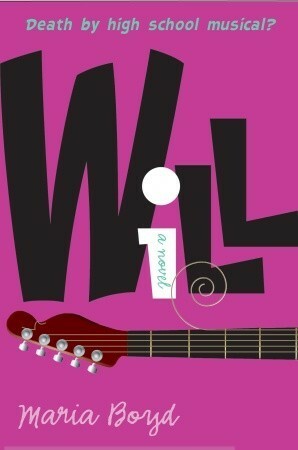 But Will really is charming and funny and caring, yet flawed. Will’s punishment for the mooning incident is being a part of the school musical, possibly the nerdiest thing you could ever do at Will’s all-boys high school. Yet, despite this death sentence and his complaining of it, Will still takes responsibly and does what he has to. Even watching over Zach, the kid who’s considered such a “freak,” that even the other freaks pick on him. I think it’s when characters are flawed and contradictory like that when they begin to feel real and honest. And Will the character and WILL the book were all of those. Along with that, the secondary characters were just as fantastic and fun to read about. They did exactly what secondary characters should do: they each had their own personalities and their own personal goals, but they also brought out certain traits in Will that aided him in his own story of self-discovery and healing after the death of his father. Honestly, I would totally be crushing on Will if I didn’t think that was even in the least bit weird. The thing I loved most about this book, though, was the way Boyd seamlessly interweaves laugh out loud humor and surprisingly heartbreaking and raw moments. This is something that I find few truly master, and I think Boyd has it perfect. Everything from the way WILL started off absurd and hilarious with the mooning incident and Will being stuck in the musical to the way it revealed Will’s secrets and insecurities was so perfect and real and organic. This is a character-driven book. It’s not a romance, it’s not a musical, even though, yes, those things are in there (and they perfectly aid the story and make it even better). It’s about exploring what makes them tick and understanding people beyond shallow observations. Besides the ending, something else that bothered me (but didn’t bring down my rating) was the fact that the dialogue was bolded instead of in quotation marks. I didn’t understand why this choice was made. It took me a little while and a lot of concentration to relearn what is signaling dialogue. This didn’t take away from my enjoyment of the novel, but it was a slight annoyance. I’d definitely recommend this book if you love contemporary YA, and especially if you have an obsession with Australian writers like I do.